Soon it will be 1 year since we revealed Shanling M0. Flagship Shanling M5s was announced just 6 months ago. Now it’s time to fill the gap between them with a new mid-tier player. And what could be a better fit than third generation of popular M2 model? 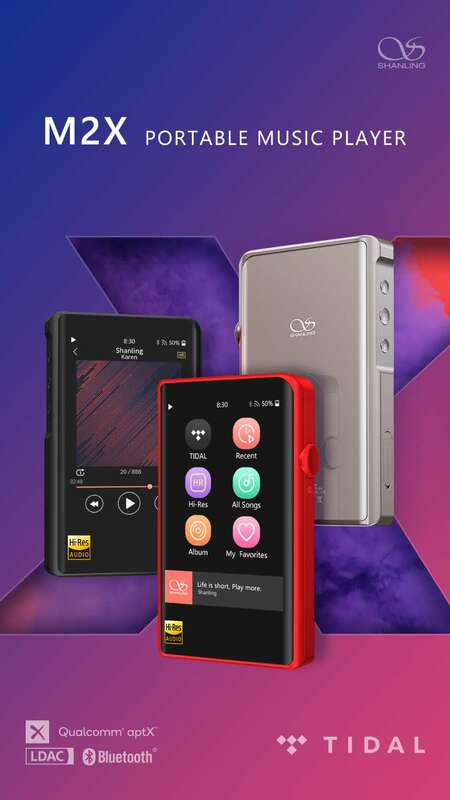 Shanling M2X is smaller brother of our current flagship Shanling M5s. Same beautiful design, MTouch system and rich feature list. And while M5s stays as our top model thanks to its superior sound quality, M2X will be tempting alternative for anybody looking for slightly smaller and cheaper player. Shanling M2X will go firstly on sale in mainland China during March and we expect international release to follow shortly after that. New firmware for Shanling M5s is ready. Shanling M0 awarded VGP award!